As companies focus on customer retention and taking feedbacks from customers and improvising their services and products, the demand for cloud billing for customer management will grow at a remarkable pace. The increasing need for reducing operating expenditure is fueling the demand for cloud billing. The media and entertainment is expected to be a lucrative segment in the cloud billing market in the coming years. The growing adoption of digital channels is anticipated to create a heightened demand for cloud billing. Furthermore, the ITES sector and the telecommunications sector have been known to be in the forefront of adopting cloud based technologies to be able to provide better service to customers. Thus, these two sectors will drive the global cloud billing market. Cloud billing reduces the expenses to develop infrastructure and also reduces IT cost, thus driving their demand. Cloud billing allows the ability to scale up or scale down the resources as per demand and also reduces the hassles of maintenance. Thus, the adoption rates of cloud billing are expected to increase over the years. The telecom, banking, and finance sector are making use of cloud billing and benefitting extensively. Public utility services such as natural gas, water, and electricity are also deploying cloud billing, thus driving the market. Overall, the market’s progress can be attributed to urbanization, economic development, growing standards of living, and increasing use of various services by middle class population base. Cloud billing involves traditional billing combined with cloud technology. It is a billing solution for both digital as well as non-digital services. The cloud billing solutions are aimed to automate the billing process, create virtual workplaces, and enrich customer experience. The deployment of cloud billing solutions offers enhanced flexibility to customers and helps in revenue generation for anytime, anywhere services. This eliminates undercharging and overcharging loopholes, resulting in transparent billing and charging process. Thus, cloud billing solutions capacitate organizations across different industry verticals to increase revenue and manage its customers effectively. The rising demand to increase business flexibility combined with cost control stipulations are some of the prominent factors driving the cloud billing market. Cloud billing solutions offer benefits of cloud technology and effectively address the requirements of changing business models, which is leading to its increased adoption across several industry verticals. These billing solutions are scalable and allow streamlining of the billing process, thus improving customer satisfaction. Cloud billing solutions also lower upfront costs since real-time, multi-tenant billing systems are maintained by third-party services. Apart from cost benefits. Cloud billing solutions enable billing accuracy and management of large volume of data in real-time. However, the adoption rate of these solutions has been sluggish in the recent years due to concerns over data loss and over dependence on third-party service providers. Nevertheless, these solutions are expected to display a significant demand due to the increasing demand for automated billing processes and development of cloud-based services. The integration of current organizational framework with cloud billing solution is expected to benefit businesses by means of incorporation of best practices for consistent and accurate operations. These benefits will result in the global cloud billing market to display double-digit CAGR from 2017 and 2025. 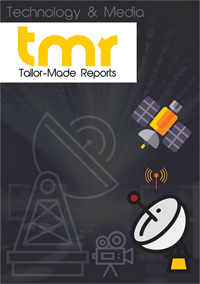 The cloud billing market is segmented on the basis of deployment model, service delivery, service, end-use vertical, and geography. By service delivery, Software as a Service (SaaS), Infrastructure as a Service (IaaS), and Platform as a Service (PaaS) are the segments of the market. On the basis of deployment model, on-premise and hosted are the segments of the global cloud billing market. On the basis of service, account management, revenue management, customer management, and integration are the segments of the market. By end-use vertical, banking, Financial Services and Insurance (BFSI), public sector and utilities, information technology and media, retail, telecommunication, healthcare, and transportation and logistics are the segments of the cloud billing market. Geography-wise, North America, Europe, Asia Pacific, and Rest of the World are segments of the market. The report provides a vendor landscape of the global cloud billing market with a detailed competitive profile of leading companies operating in the market. Some of the leading companies operating in the global cloud billing market are Amazon Web Services (AWS), Aria Systems, Cerllion Technologies Ltd, Comarch SA, IBM Corporation, NEC Corporation, SAP AG, Amdocs Ltd, BMC Software Inc., CGI Group Inc., Comverse Inc., Mphasis, and Oracle Corporation among others.